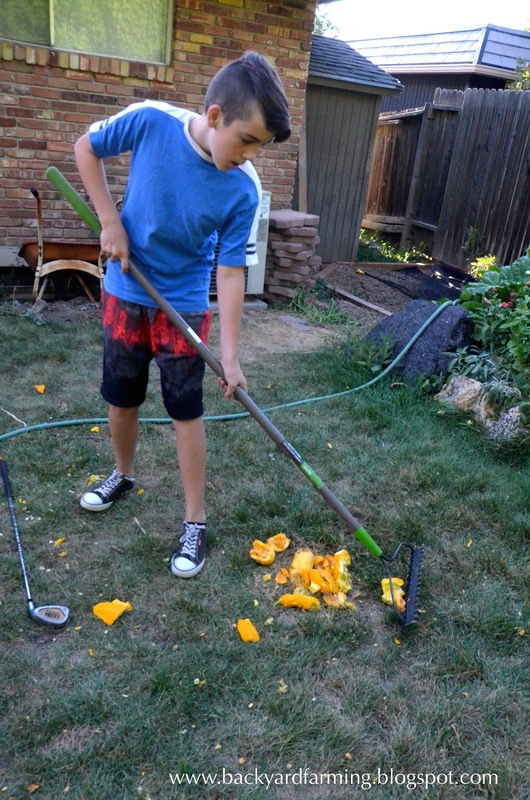 A: You unleash your own weapons of mass destruction (aka: your boys) to break the squash into compost-able smithereens. "Really, Mom, you WANT us to hit the squash? This is awesome!" Tell the boys they need to rake the spoils so you can measure who has the biggest pile. 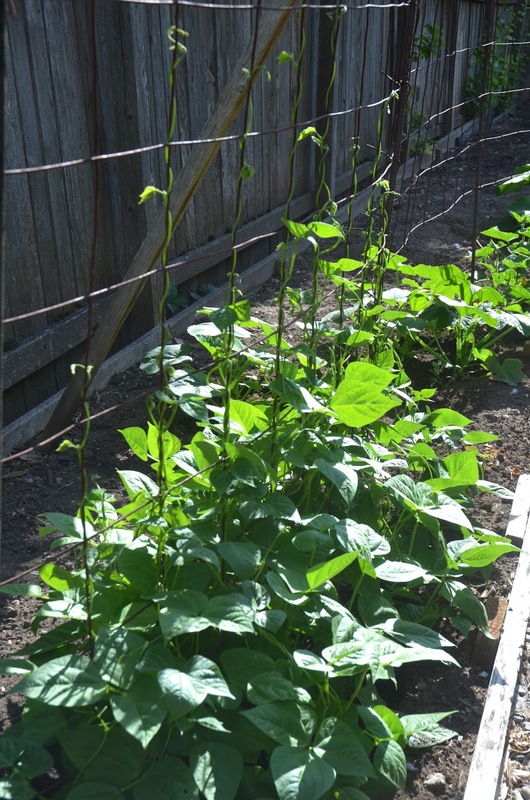 Cucumbers climb a trellis in a community garden. 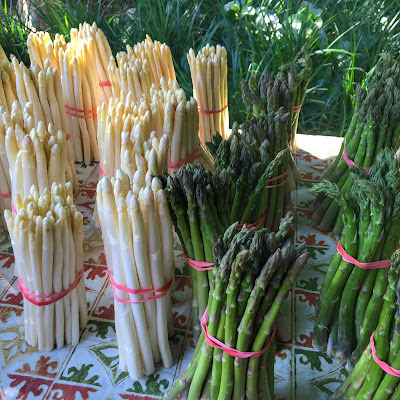 The trellis is easy to remove at season's end. 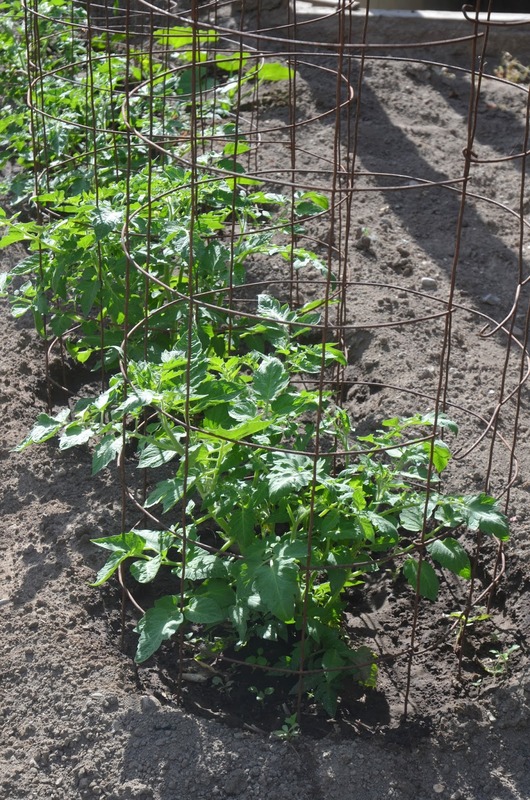 Concrete reinforcing mesh outranks typical metal tomato cages in size, strength and ease of both harvest and storage between seasons. The metal grids are widely available at hardware stores and home and garden centers. The mesh comes in rolls of 100 feet or in panels typically 4x8 feet. The panels cost around $8. 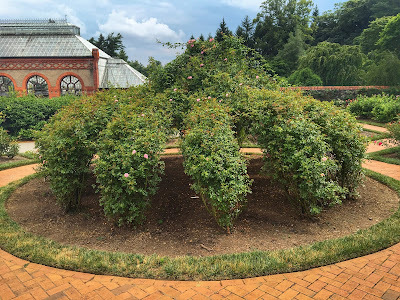 Yes, that may be pricier than a single tomato cage, but these cages are big enough to place two or three tomato plants inside -- and they'll last for years. The openings are 6 inches across, allowing for easy harvest. A main advantage of the panels vs. rolls is not having to cut the mesh. 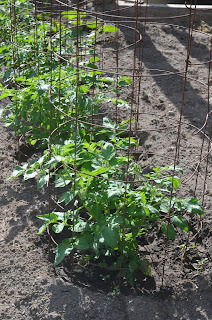 To make a tomato cage bring the short ends together and use cable ties to join into a tube. This forms free-standing cages, or you may stake into the ground with rebar poles for extra security. (But they're not going anywhere!) At season's end cut the cable ties and stack panels flat against a wall or fence. To make a trellis use three long rebar poles per panel: two at either short end and one in the middle. Hammer the poles into the ground 12 inches or so deep. Attach the panel with cables ties. If you want the trellis to be elevated off the ground, use a wide wooden stake next to the rebar poles to form a shelf for the panel bottom before attaching with cable ties. 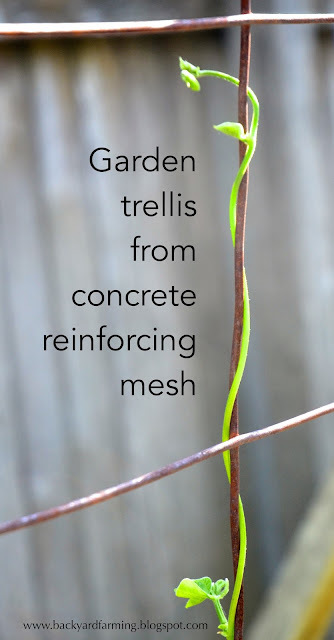 Trellises from concrete reinforcing mesh are easy to set up and easy to take down, but have the strength of more permanent installations -- making them ideal for shared gardens or crop rotations in your home plot. 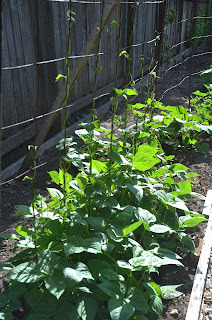 Poles beans climb trellis made of concrete reinforcing mesh. In my post on our travel blog about the huge 178,000 square foot Biltmore Mansion that we visited in Asheville, North Carolina, I mentioned that it was built upon an 8,000 acre estate. 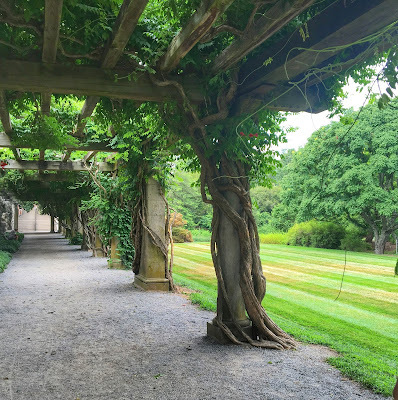 The grounds of the estate were designed by Frederick Law Olmstead who also designed Central Park. 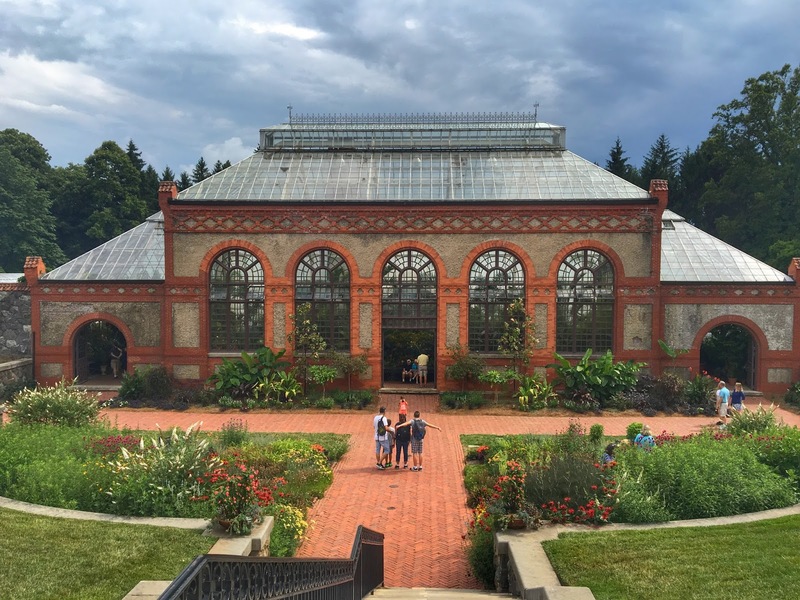 The grounds are amazing and if I lived in the area I might buy a membership to the Biltmore Mansion to visit the gardens during different parts of the year as there are plants that grow and bloom throughout the year giving a different experience each time. There are several different gardens that you can walk through on the estate with paths that meander through. 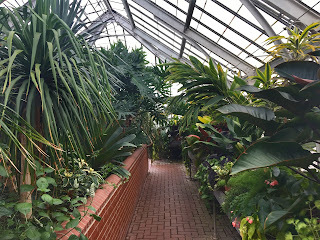 I was impressed by the variety and the beauty of the grounds. My favorite part was the huge greenhouse that houses several different types of plants. 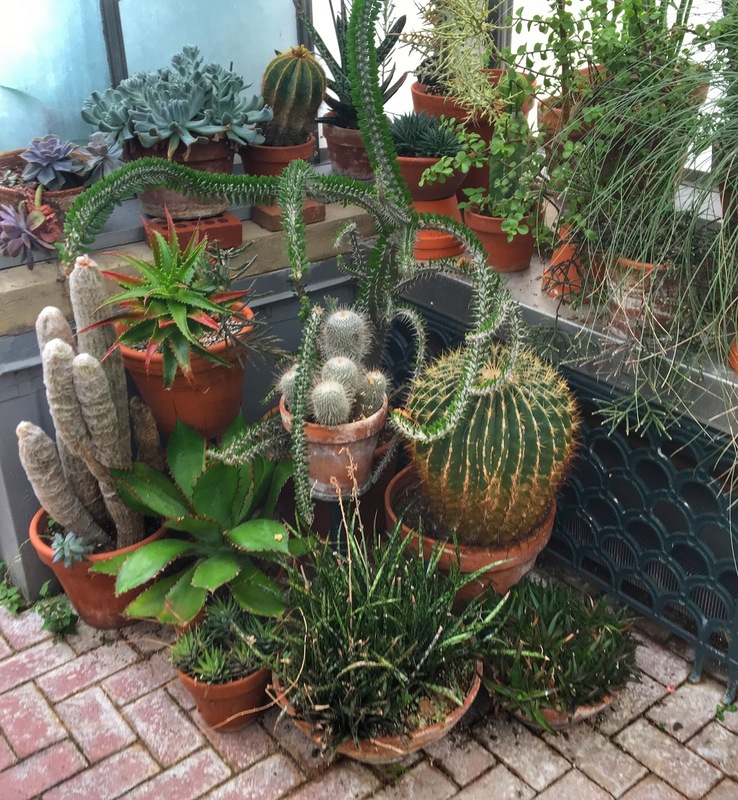 and a bunch of tropical plants. I actually liked the Biltmore Gardens even more than I liked the house even though I think the house is more famous. 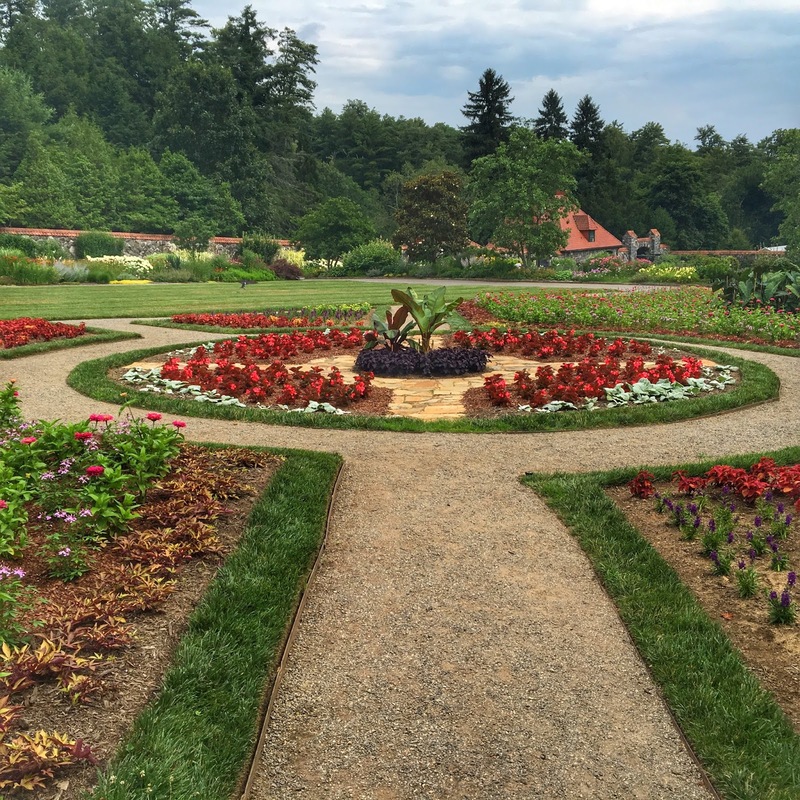 If you get a chance, visit the Biltmore Gardens in Asheville. They were amazing. Tasks that can be done by hand are fine and dandy, but ones that justify the purchase of tools? Even better! 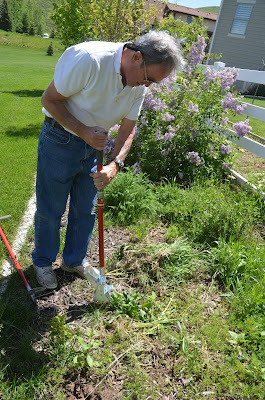 Leave it to my dad to have not one, but three, gadgets designed for weeding with minimal knee- or back-bending effort. This black one (without a brand name) has spikes at the end of the pole. Position it over the center of a weed and press down on the bottom platform with your foot. This action fans out the spikes slightly. 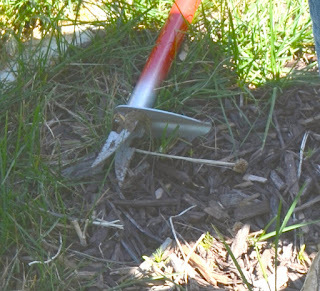 When you pull the tool out of the ground the spikes close in around the weed root and extract it. The final move is to push on the knob and pop the weed from the tool. 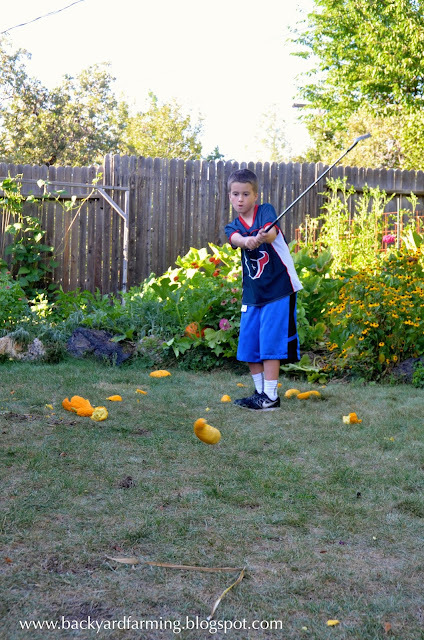 Set up a bucket for target practice and you're on your way to enticing the kiddos into the weeding chore game. This tool concept ranges $20-30 and is available under different makers at most big box stores or online. My dad loves this tool for weeding without damaging existing plantings. He says it is best suited for smaller weeds. Next are two red ones are made by Garden Weasel in their Weedpopper line. First is the Step and Twist, which has two blades beneath a stepping platform. Like the black tool you place it on the center of a weed and press down with your foot. The difference is you twist the pole. It has two handlebars (a T joint) on top for easy twisting (not shown in my photos). It also has a plunger for popping weeds out. My dad chooses this one for weeds bigger than the black tool can handle -- but it also leaves a deeper hole. It costs around $25. The second by Garden Weasel is the Weedpopper Pro. It has spikes at the end of a hinged metal box. Insert tool just off center of the weed and press on the box with your foot to thrust the spikes upward. It works rather like a mini, foot-activated pitchfork. It can work on all sizes of weeds, Dad says, but bigger weeds may need attack on multiple sides. My dad also likes this one for clearing grass in flower and garden beds. It is the most expensive of the bunch at $45 online. 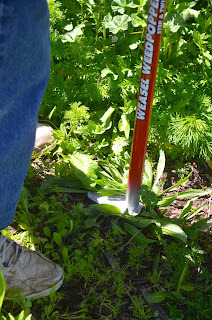 Whereas the other two tools shown here grasp the weeds allowing you to collect them without bending to the ground, this gadget leaves them in the dirt. But the kids have young backs, right? 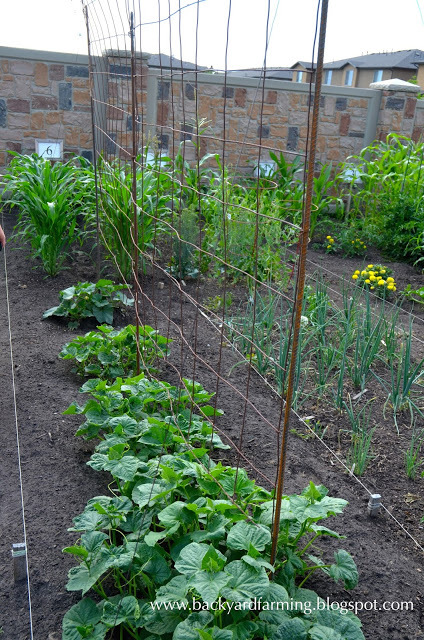 What are your favorite gardening gadgets? 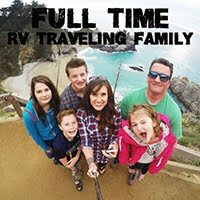 My dad's birthday is coming up and I need ideas! I'm going to let you all in on a little secret. They don't grow butterflies at a a butterfly garden.They grow plants that attract butterflies. 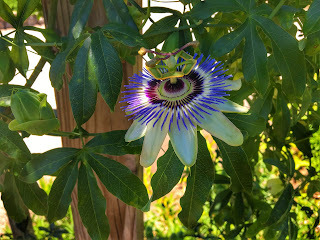 We went to a Butterfly Garden in Greensville, South Carolina at the Roper Mountain Science Center and we saw a lot of plants that attract butterflies, but we didn't see a lot of butterflies. 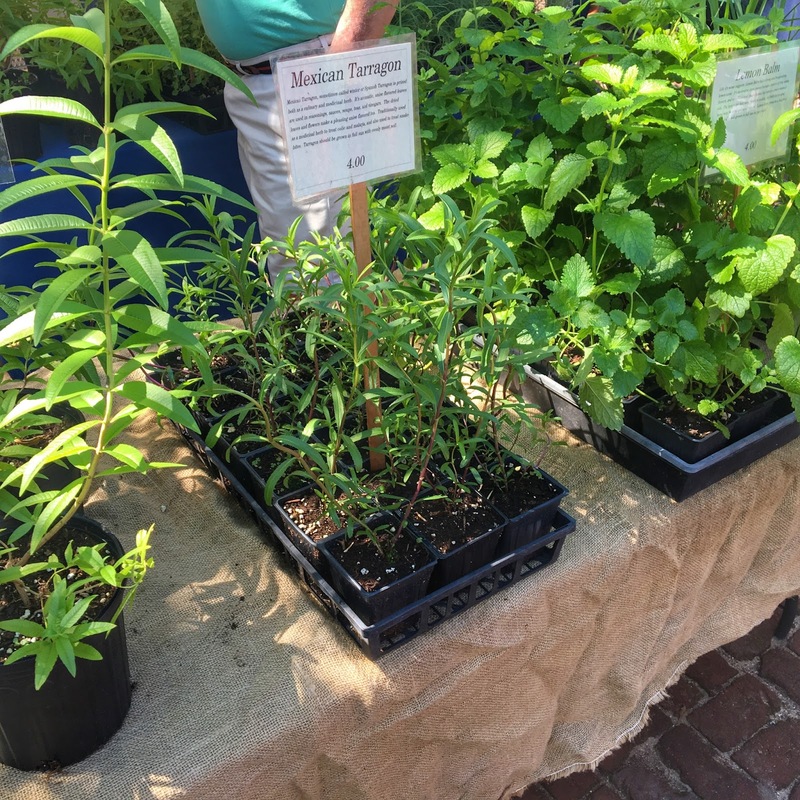 The garden was set up really well by the Greater Greenville Master Gardeners Association. 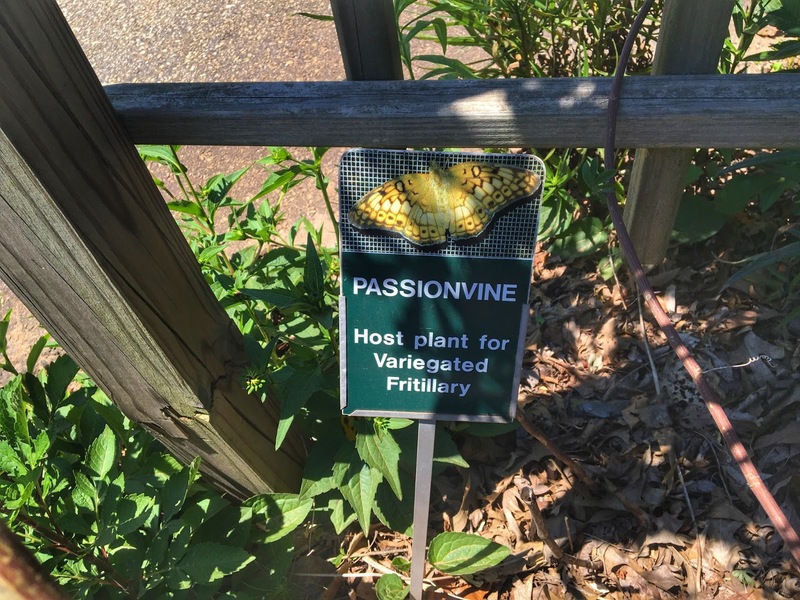 Each plant had a sign that told what it was, as well as what butterfly the plant will attract. 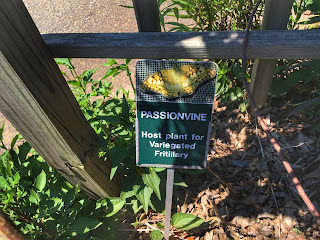 It was very educational and I definitely want to set up a butterfly garden once I live in a home again. 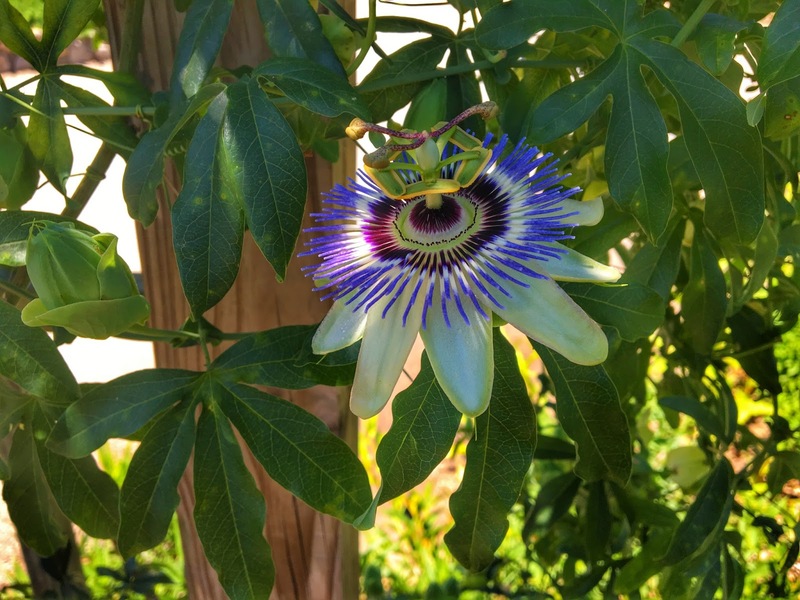 Our favorite plant was the passion flower. I have never seen it before and it seemed like something from a science fiction movie. In addition to a couple of butterflies, we did find some eggs and caterpillars which was still fun for Madelyn. 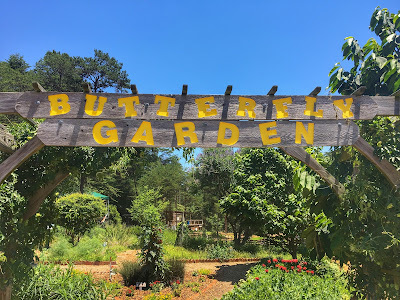 If you are interested in creating your own butterfly garden, this website gives you a map that you can click on to find the types butterflies that populate your state. This page has a list of butterflies and the plants that they are attracted to. If you have more information or websites about your own butterfly gardens please share them in the comments below. 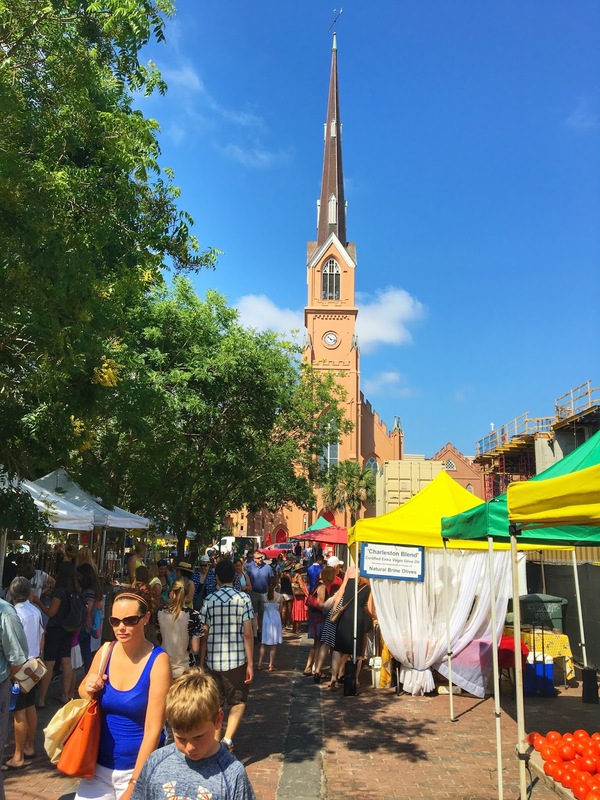 We get the opportunity to go to a lot of Farmers Markets as we cross the country in our fifth while. We were lucky enough to be in Charleston when they were having a Farmers Market at Marion Square. 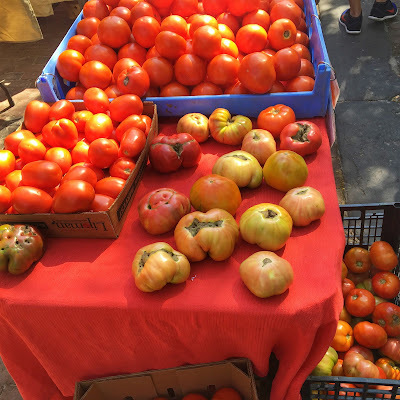 The subtropical climate must provide great opportunities for growing because the variety and beauty of the produce in the various stalls was amazing. I thought that the white and green asparagus was probably the most beautiful thing at the market. I wanted to buy all the herbs that I could see but it's hard to have a lot of herbs while living in a fifth wheel. 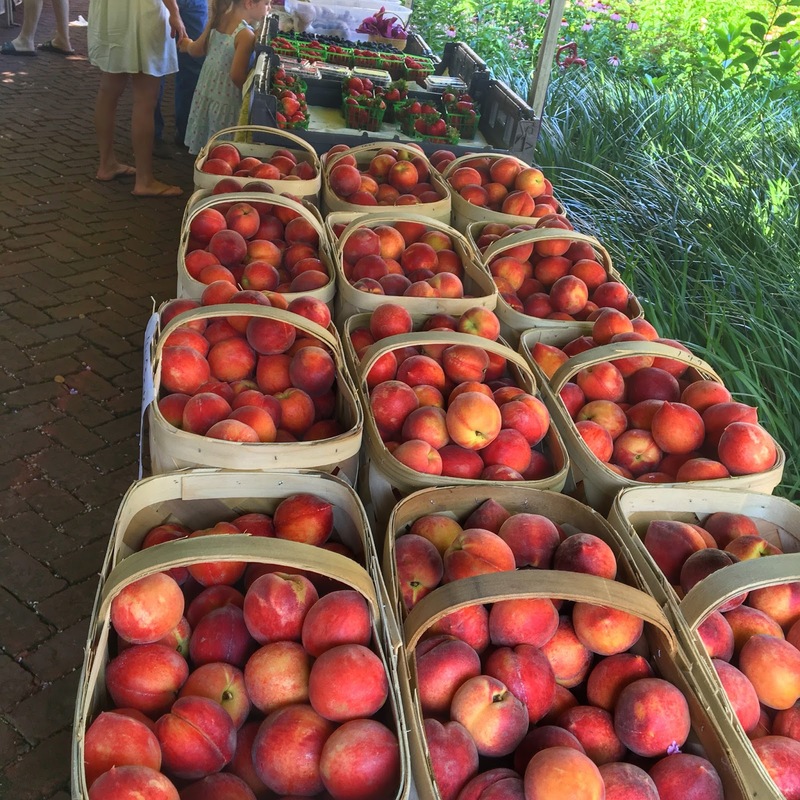 I know we weren't in Georgia but we were close so I wasn't surprised to see peaches as far as the eye could see. It makes me so happy to go to Farmers Markets and see so many people that grow such beautiful produce, and seeing so many people that appreciate it. Farmers markets are one of my favorite places to be. When we gardeners start seeds in pots and trays the goal is always to graduate those wee sprouts to the great outdoors. Sometimes the journey requires a bit of middle ground, when seedlings are too big for their first vessel, but the time is not yet right (whether due to temperature, delayed ground preparation, storms or other facts) to transplant to their final home. • Wait until a seedling has a set of "true leaves." 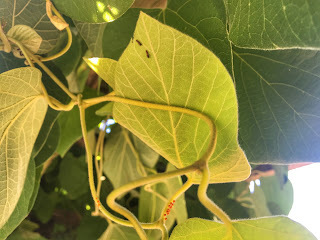 You'll notice that the pair of leaves which first emerges from a seed often has different characteristics in shape from the leaves that follow. 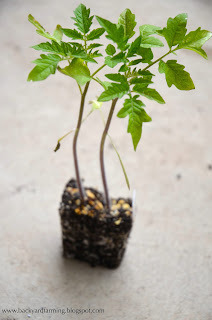 For example, the first leaves from a tomato seed are slender ovals without any of the scalloped edges of later leaves. The second pair of leaves will be the true leaves. By the time a seedling produces these it is sturdy enough and has a root structure that can withstand repotting. • Handle a seedling by the leaves, not the stem. If a leaf breaks off during transplant the seedling can grow another. If the stem breaks ... bye, bye. • Moisten soil thoroughly in the original container and in second pot before you transplant. 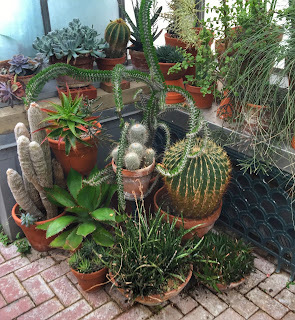 • Turn first pot over in your hand to gently remove the soil plug. 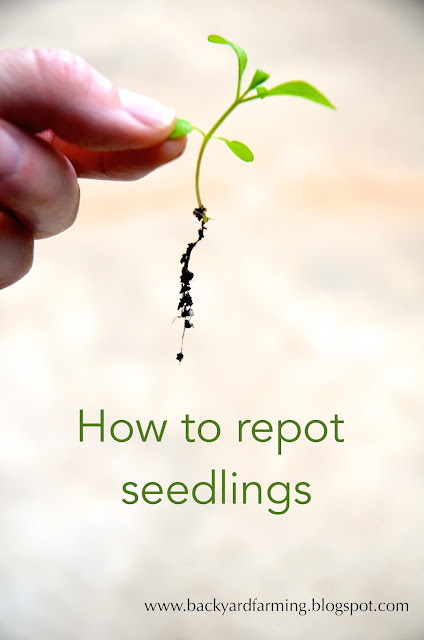 With a pencil or other slender tool probe around the seedling to separate it and its roots from the other plants. If there are many seedlings in one cell, as with this chunk of alyssum, start from the outer edges. 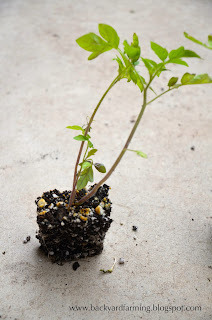 • Still holding the seedling by a leaf, deposit it into the hole and with pencil carefully bring dirt next to the stem. 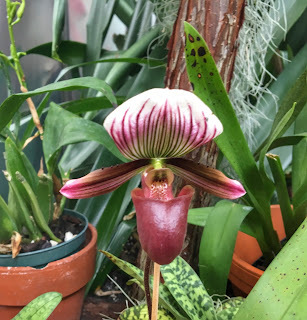 • Keep transplants in steady conditions for the next couple of days -- keep soil consistently moist and don't subject them to extreme temperature or light changes. I purposely sowed the tiny pepper-grain alyssum seeds close together knowing I would separate them into individual cells after sprouting. Other times you get extra sprouts unexpectedly when you thought you planted just one seed. Now, just because you have two (or more) seeds growing in a space doesn't mean you have to keep them all! It may be more appropriate to use another desk tool -- scissors -- and cut one seedling at the ground so the other can thrive. 1. I could have done my pencil method to easily separate these first tomato seedlings a couple of weeks ago with no concern about roots, but I didn't get around to it. 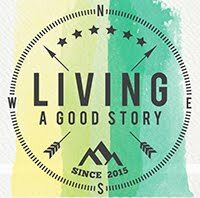 (The story of my life!) Because of decent stem spacing I decided to see if I could slowly, gently pry the root balls apart. This worked. I placed each in a new pot and backfilled soil around the roots. 2. This is the second set. Two tomatoes are ahead in age, with a third smaller sprout right next to them. Seedlings so close in space like these will also have roots inextricably bound. In such cases it's better to use scissors to nip all but the most robust start. Cut your losses instead of risking damage to all. Finally, here's my "duh!" moment. Do you know how many years I've filled seed pony packs and then patted down the dirt with a spoon or ice cream scoop (for reals!) or trowel or fingers, always making a huge mess? Well, that's a silly question; even I don't know how many years. But from now I will simply press down on another seed container when filling my trays. "Duh" indeed.